How do I Unlock Stores? 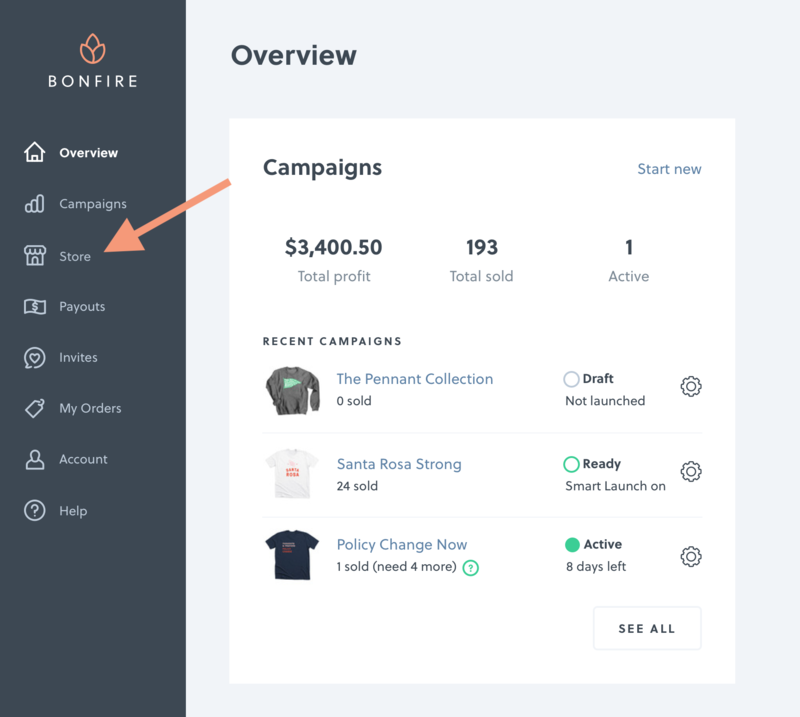 Stores are automatically unlocked for anyone on Bonfire who has sold 50 or more shirts in Campaigns. This sales minimum isn't limited to a single Campaign, batch, or timespan. You can see if you have Stores unlocked by heading to your Account Dashboard. If you don't see the Stores tab in your Dashboard, it has not been unlocked. If you don't meet this requirement, simply contact us to have Stores turned on.